Here I am, fiddling around with this blog. 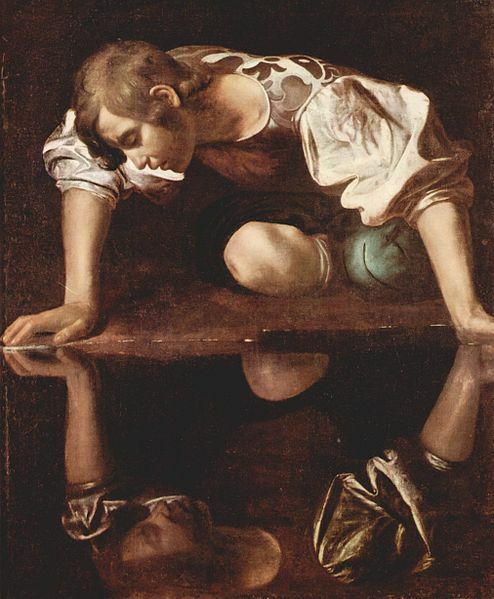 It made me think uneasily of Narcissus gazing at his own reflection. But in the picture he looks to me as if he feels trapped, as if he wants to pull away. Why doesn’t he do it? Is he afraid that if he looks up and allows himself to see something other than his own reflection, he himself will disappear?